This bright and sunny beach house has panoramic views over the endless white sandy beaches of Plettenberg Bay on South Africa’s sublime Garden Route. While the glistening beaches call you to relax and repose for the day, there are many activities on offer in this vibey seaside town. Whether you are here for the fabulous golf courses, or to enjoy regular whale and dolphin sightings, explore the forests on the treetop canopy tours or bungee jump off the world’s tallest bridge jump there is something for everyone’s adrenalin levels. Sand at The Plettenberg is open for breakfast, lunch, tea and dinner. 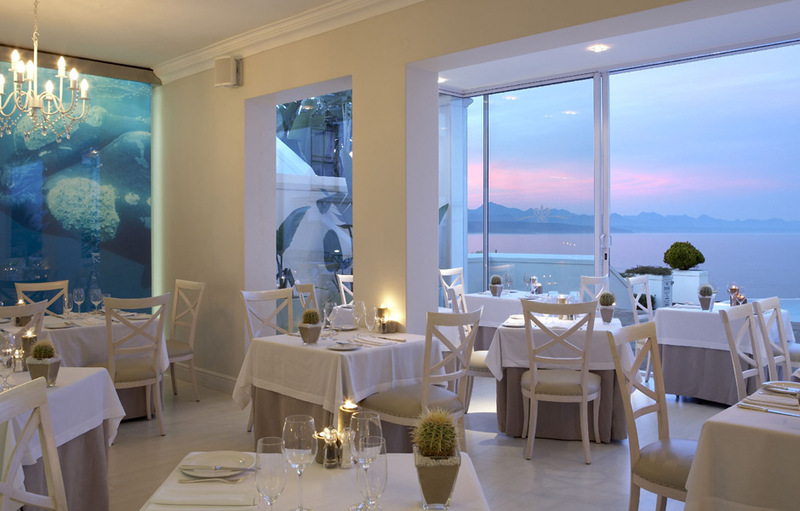 This stylish and contemporary restaurant offers progressive South African cuisine with Mediterranean inspiration. The sumptuous breakfast buffet energises you for the day’s adventure, while light lunches and high teas are delectable treats. 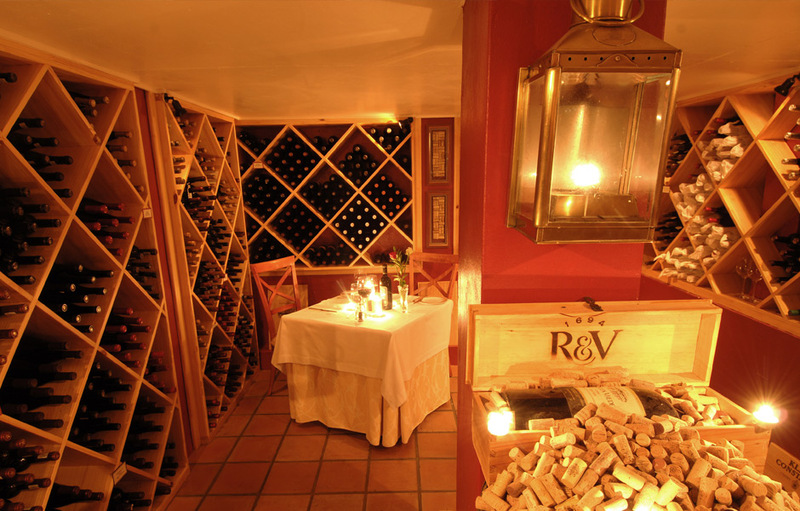 If you’re looking for a romantic dinner for two, why not book the stat-of-the-art Wine Cellar and have the Sommelier recommend the perfect wines to accompany your meal. With an extensive range of spa treatments performed by expert therapists you are sure to relax and unwind from the stresses of modern life. The Carchele Beauty Spa’s signature Ozone Bath treatment assists you to absorb lost oxygen while your entire body is massaged by hundreds of powerful air bubbles. 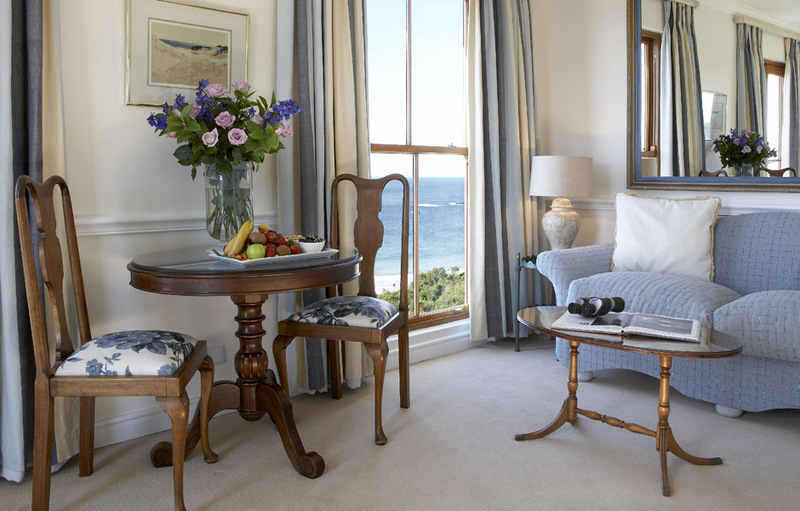 All the rooms and suites at The Plettenberg are exquisitely and individually decorated. Featuring a base of cool crisp white cotton linens with a hint of seaside inspiration, these elegant rooms are sure to charm you. 7 Plettenberg Double Rooms – full of charm and grace, these luxurious rooms feature en-suite bathrooms, under-floor heating, air-conditioning and all the modern amenities you have come to expect from a five star establishment. 10 Plettenberg Luxury Double Rooms – each with a side-view of the beautiful garden or the Formosa Bay, these luxury double rooms feature a sitting area, en-suite bathroom, under floor heating and air-conditioning. 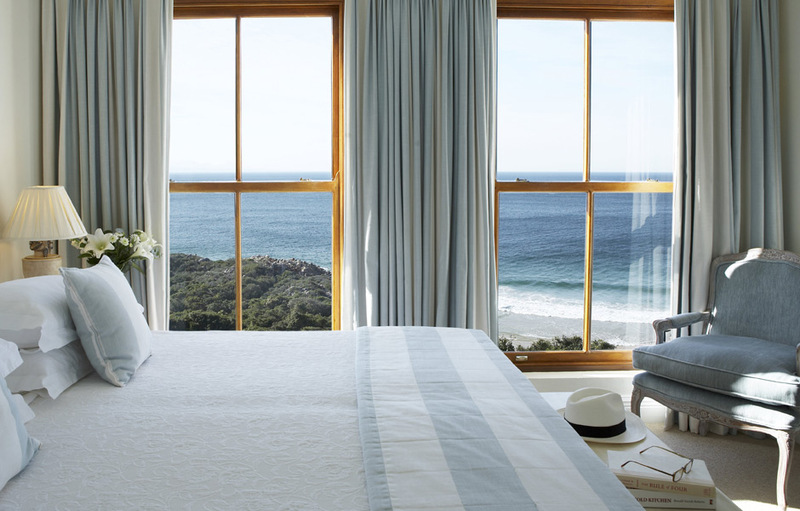 6 Plettenberg Luxury Double Rooms with Sea Views – featuring walk-in showers, under floor heating and air-conditioning throughout these rooms boast panoramic sea vistas from step-out balconies. 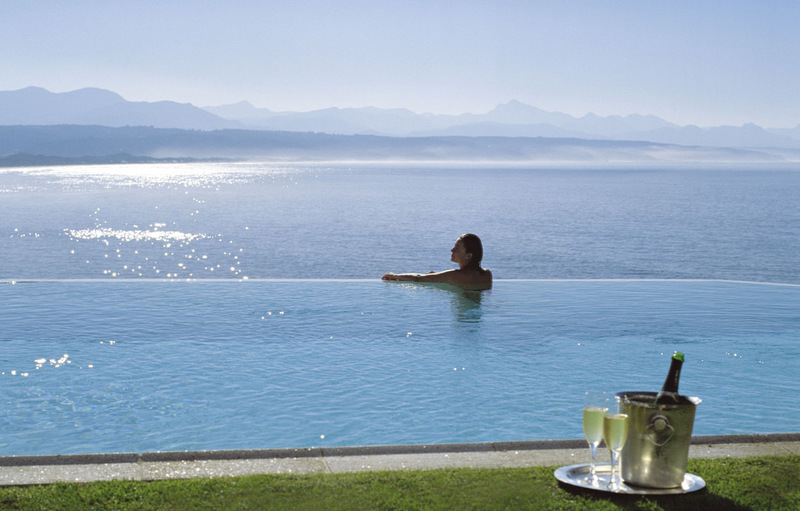 5 Plettenberg Suites – the ultimate combination of luxury and comfort these suites draw their inspiration from the beautiful ocean surroundings. These spacious suites have a spectacular sea view, separate lounge area, an en-suite bathroom, under floor heating and air-conditioning throughout. 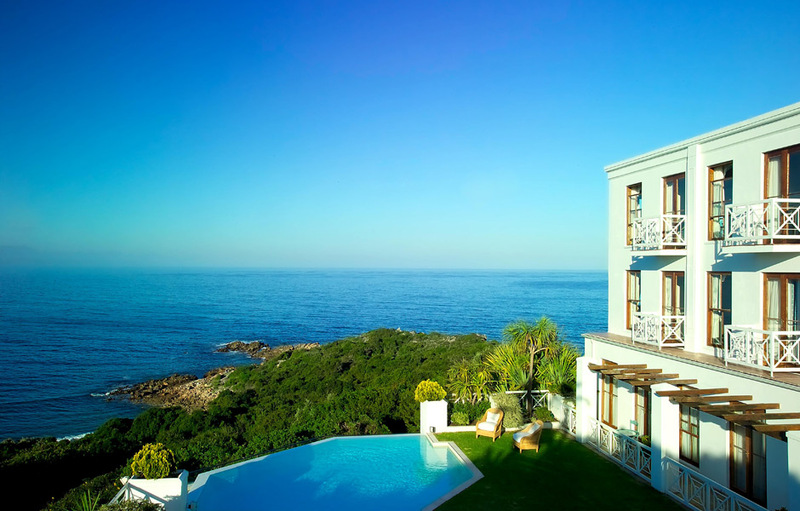 7 Plettenberg Premier Suites – with varying views of the ocean, these supremely spacious suites have French doors that open onto an extraordinary walkout balcony. The Premier Suites offer a separate lounge, private satellite TV, a beautifully appointed bedroom, an en-suite bathroom, under floor heating and air-conditioning throughout. The Beach House – with sublime views of Plettenberg Bay and the Outeniqua Mountain range from its spacious deck and decorated in soft creams and blues this private beach house is the ultimate escape. The Beach House boasts two en-suite bedrooms, a large sitting room with fireplace, a dining room, a small service kitchen, a private swimming pool, air-conditioning throughout, flat screen televisions, satellite TV, wireless Internet access, DVD players, full service, parking and all other modern conveniences. The Lookout Villa – Guests will be spoilt with magical sunrises, pods of whales breaching in the winter months and dolphins swimming by throughout the year. This family friendly three-bedroom villa combines soft sandy and oceans colours with a harmonious mix of contemporary African decor. This spacious villa boasts an open plan lounge and dining room, a well-stocked galley kitchen, access to a private swimming pool and garden, air-conditioning throughout, flat screen televisions, satellite TV, wireless Internet access, DVD players, full service, parking and all other modern conveniences.